Queen’s 1984 video for their song, “I Want To Break Free” featured the foursome dressed in drag as characters from “Coronation Street” a long-running soap opera from the United Kingdom. 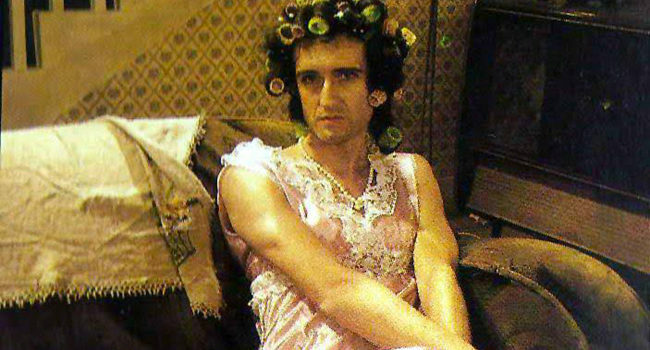 This includes Brian May as Hilda Ogden. Unfortunately, MTV execs and fans in the United States didn’t get it and it caused a minor controversy, stalling their career stateside, until at least the early 90s, after frontman, Freddie Mercury’s death. The video is now considered a camp classic.